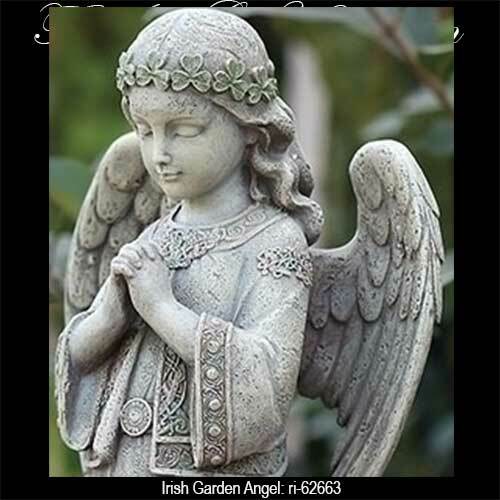 This Irish angel for your garden is knelt in prayer. 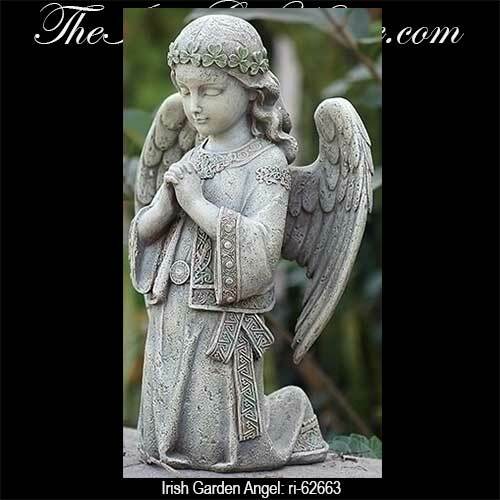 This Irish angel statue is knelt in prayer while she watches over your garden. 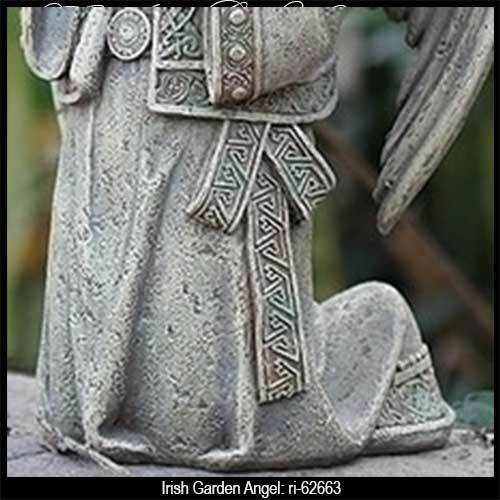 The Irish garden angel features a dimensional design that includes a shamrock laurel on her head along with Celtic knot-work on her gown and jacket. The Celtic angel is made of a cement and resin mix and measures 8" wide x 12 1/4" tall x 6" deep.